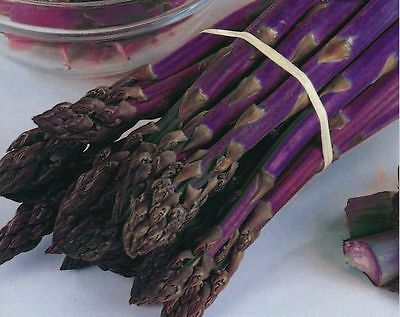 Pacific Purple is a British asparagus, bred for flavour and heavy yields. It succeeds wildly on both counts: it is by far the most prolific of the purples, and the flavour is legendary. Lightly steam this asparagus or simply eat it raw: there is none of the fibrous, stringy experience of green varieties.